After two successful seasons winning the UEFA Champions League, Real Madrid can safely be deemed the best team ever to have played in Europe. Now that the Champions League 2017-18 campaign has started, will the all-time favourite put their name down in the record list of the UCL for swinging a third straight trophy? After several setbacks and also losing important players in his team, Zidane is set off to a shaky start in La Liga. Several other important developments that took place earlier this year will make a well-informed choice when it comes down to understanding Real Madrid's strategy or if you consider putting your money on the line. Casino players are familiar with the ultimate guide of real money slot machines the same way football fans know about their sports team. After a summer full of rumours about Cristiano Ronaldo quitting Real Madrid that we all secretly knew to be a false alarm, Ronaldo is back on his quest to become the best footballer in the world. Only Lionel Messi can make the Portuguese shiver, and when the Ballon d'Or is involved, things can really get messy for everyone involved. What he cares more about than the golden trophy, is winning the UEFA Champions League. By mid-summer, rumours spread that he'd be leaving the Merengues, as he was out of the game for too long due to suspension for touching a referee and because of his personal belief that his co-players didn’t know how to play together for the big prize. This thought is long gone, as Ronaldo now sees that the squad can only get better with every transfer. Also, even if only a few days ago Zidane rejected the need for Ronaldo to be in the squad, as the team swung its first win at La Liga, the former midfielder and long-term friend of Ronaldo has most recently proclaimed him to be the best in the world, as the soccer superstar returned after his 5-match ban to an extraordinary 3-0 against APOEL at the Champions League opening night of the group stage. Since his transfer in 2009, Ronaldo has now scored 409 goals for the team. 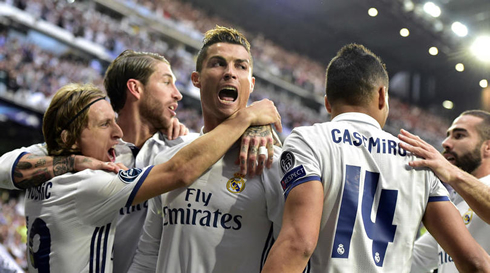 The glamorous return of Ronaldo on the field couldn’t have been at a better time for the team, especially after the loss of Benzema and Marcelo in La Liga. However, some new stars have joined forces to make this current Real Madrid side a team for the future. 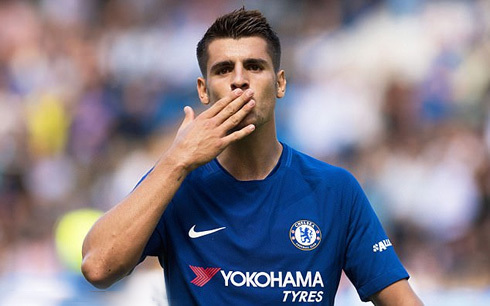 Like in video and computer games, teams love the time of the transfer window when the old skins are shed down to be replaced with better ammunitions. In Real Madrid's case, there were several significant additions to the team. One of them will be the Brazilian genius Rodrigo Rodrigues, from Gremio Novorizontino. The team is also preparing talks for Arsenal's Alexis Sanchez for the next transfer window in January 2018. Sanchez' future looks uncertain for the moment, as Arsenal didn’t extend his contract, but asked him to stay until January. However, even if Zidane has put his pink glasses on after the return of Ronaldo, he can't deny forever that after Kovacic's most recent adductor injury, the team is now left with fewer options to manoeuvre as the League progresses. This happened on the memorable opening night in the Champions League against APOEL. 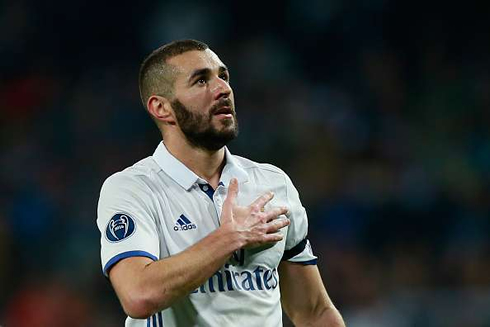 Problems lurk under the surface of the fiasco on the field for Zidane, as after a prolonged injury, Karim Benzema has also shown signs of burnout as he continues to struggle to score and has now a high record of missed opportunities. On the brighter side, Real Madrid has extended the contract with Isco for another five years, until 2022. In the last season, Isco has been a real superstar and secured his place in the long-term plans for the club, after being hinted with a move to Barcelona and Bayern Munich, who had a brief contest to drag the 25-year old Spaniard out of the Spanish capital. Isco is probably Real's current best performer, as he played in the first games in La Liga and also against APOEL. The Spaniard scored 3 goals against Italy and Liechtenstein while playing for his country just a few weeks ago. He's also been one of the fastest growing soccer stars, winning 10 trophies in just 4 years. Professional football can be a muddy business for the clubs and in order to win Isco's loyalty, Real Madrid offered him a €700m release clause. You've probably noticed that we didn’t mention Gareth Bale. Well, the reason is simple, after Ronaldo's return and Isco's extension, Bale will have to pull up his sleeves and work really hard to stay in the starting 11. 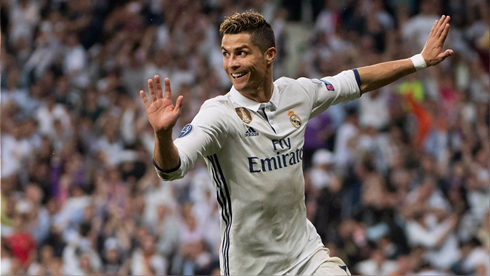 If you're still thirsty for Real Madrid's latest news, but keeping track is a daunting task even for the most astute punters among you, we recommend to subscribe to a handful of resourceful sites like SlotsWebsites.org that publish the most up-to-date football facts. Cristiano Ronaldo next game is for Real Madrid on September 23 of 2017 against Deportivo Alavés. You can watch Juventus live stream, Alavés vs Real Madrid, Girona vs Barcelona, Southampton vs Manchester United, West Ham vs Tottenham, and Bayern Munich vs Wolfsburg, all matches provided from our live streaming game pages.